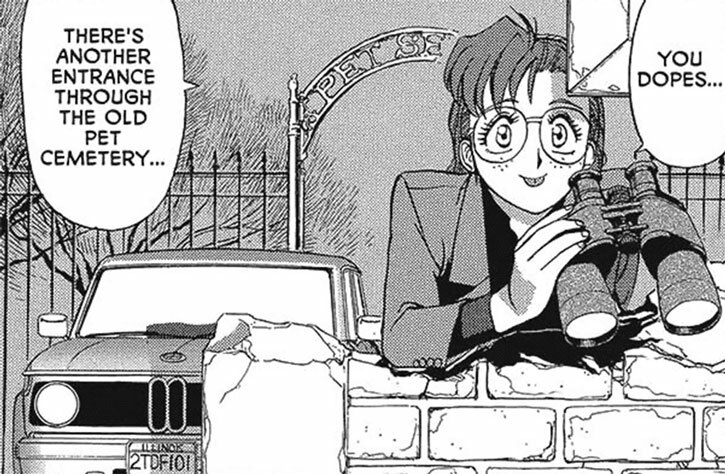 Becky is a handy character to have for street-level and investigative games. 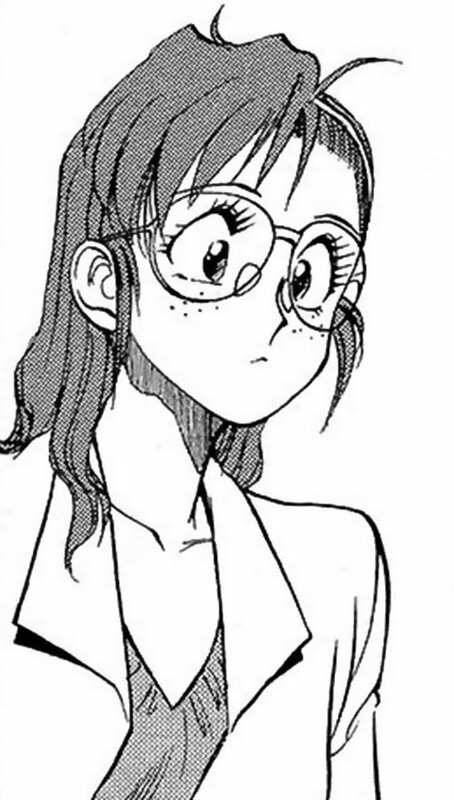 She appears in the Gunsmith Cats manga. If you’re not familiar with it, you should first read the Rally Vincent character profile. Other Aliases: Becky the tracker, Becky the cheapskate. Becky is the youngest “nose” in Chicago. This means that she’s a professional informer who sells information to shady concerns, bounty hunters, the police, journalists, etc. 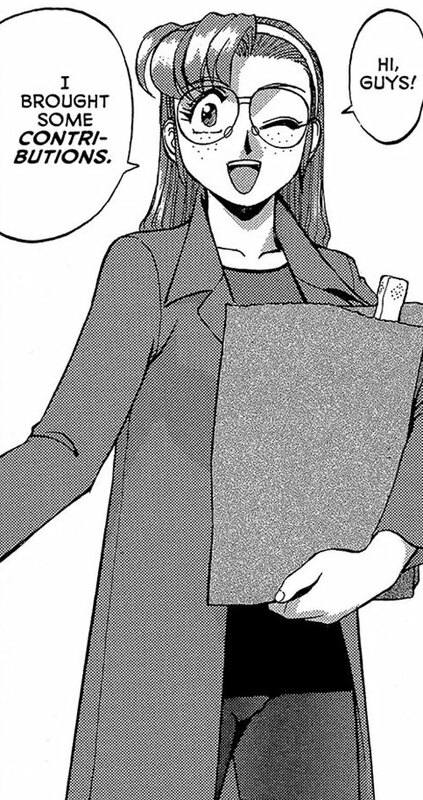 She is very good at her job. Farrah is aware of a remarkable amount of activity among Chicago’s underworld thanks to her extensive connections. She will often act upon the tips she receives by covertly filming or recording illegal events, and selling the tapes. Though she’s thus active in the field, she has no special action skills. Still, she knows basic firearms handling and isn’t a bad driver. However her stealth skills are merely adequate, and it isn’t rare for people she’s watching to spot her. When armed she’ll have a S&W Bodyguard, which isn’t registered. She can do a good job patiently analysing clues. But this has to be doable with the naked eyes and ordinary tools – she is no forensics technician. Betty is a capable computer hacker, but not cinematically skilled. For instance she can access low security information, such as the city of Chicago’s floor plans and building permits database. But that’s the culmination of lengthy cracking and social-engineering work, and the outer limit of her skills. Becky has a lot of surveillance equipment such as cameras, video cameras, binoculars, shotgun mikes, a police scanner, access to specialised databases, etc.. Even if she cannot use a shotgun mike a telescope will suffice, since Becky is a fluent lip reader. Becky Farrah is a professional informer in Chicago. Back during the early 1990s she was making much of her business by following a BBS where bounty hunters posted requests for info. Larry Vincent was one of her regulars. While investigating most wanted criminals “Bonnie” and “Clyde”, Farrah was spotted. As a result, she was shot in the leg and forced to lay a trap for Vincent. However, Vincent and her associate Minnie-May Hopkins detected that something was off. They rescued Becky after eliminating her captors in a brutal fight. After this incident, Becky became a close friend of Vincent and Hopkins, and a part of many of their operations. She was captured by Gray’s crew two months later, but Minnie-May got her out. In return, Becky took Minnie-May to L.A. to help her find her lover Ken Takisawa. Becky continues to sell hot info to her friends and to occasionally get involved in their cases. During the duel with Iron Goldie at the cemetery, Becky even came to the rescue and helped Larry break her conditioning. However, Goldie took out the informant with one kick. Becky was arrested since her revolver wasn’t registered, but quickly released. She also helped with the big showdown against Iron Goldie. 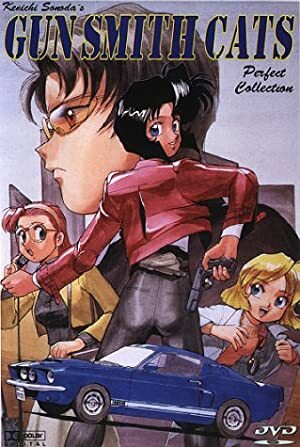 Later on, Becky was accidentally caught in a car chase as Bean Bandit and Larry were recovering a captured Misty Brown. 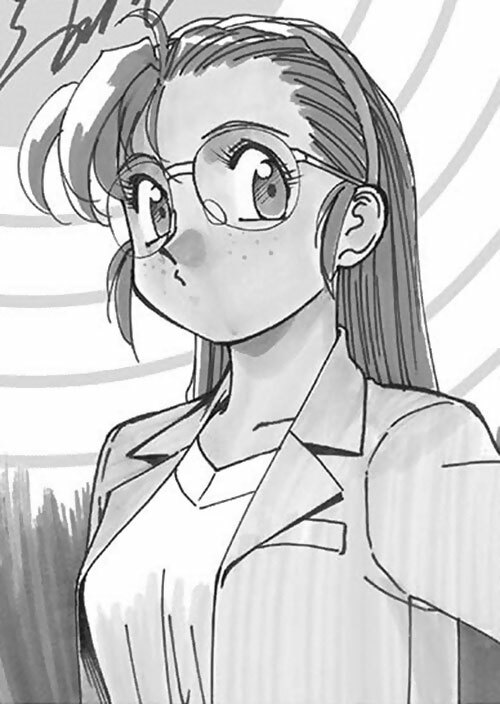 Becky wears large glasses, and is usually dressed in business casual. She drives a BMW. Becky is proud of her skills and want to be a respected, highly-paid businesswoman and info broker. She insists on everyone acting like pros, which isn’t always easy when it comes to Larry and Minnie. Becky is endlessly mercenary. All she thinks of is money, and she wants to be well-compensated for everything she does. Though they often barely can afford her services and have gotten her into a lot of trouble, Larry Vincent and Minnie-May Hopkins remain Becky’s favourite clients. She will often give them right of first refusal when she has a major underworld scoop. They have become friends over time, and Becky will often visit to socialise. Though Larry’s difficulties in coughing up the money annoy Becky, Farrah knows that the information she provides to Vincent will be used ethically. Furthermore, she knows that Larry and Minnie-May will not hesitate to come to her help if she’s in trouble. Or even if she’s in real big trouble. We’re in the money ! Becky famously bills *everything*. For instance when she got caught into a fight during a job, she didn’t just apply danger pay rates. 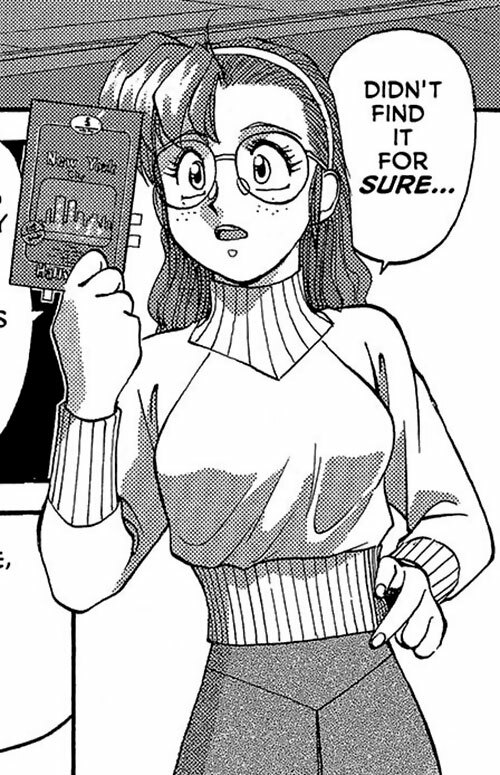 She also specifically billed for replacing her broken glasses. Farrah is proud to be the youngest nose in Chicago. Yet she occasionally gets embarrassed that Larry et al. are so improbably young. That makes Becky feel over the hill even though she’s but in her late 20s. 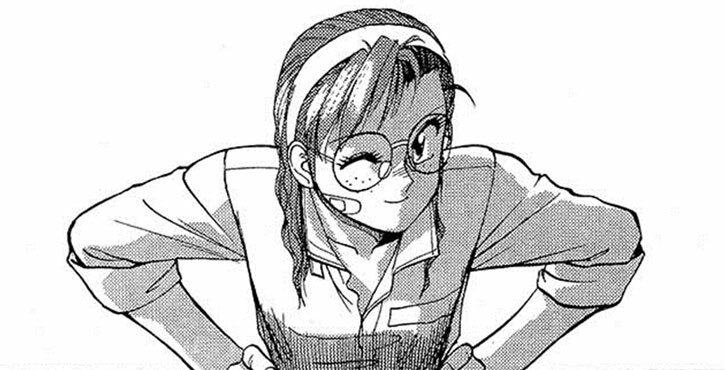 On the other hand, she has the most real life experience of the crew, and will thus be the one thinking about normal things such as throwing birthday parties for her friends. She seems to like luxury goods – though she has to look ordinary for her work. She’ll always be happy to get herself fur coats, high-end cars, Taittinger champagne , expensive restaurants, etc. Becky is a big fan of the stage magician Mister Smart (Michael Stone). She’s such a fan that she once did the unthinkable and agreed to let Larry have a 70% rebate on sizzling hot information, since that could save the life of Mister Smart. This case allowed her to meet and become a friend of the famous magician. Area Knowledge (Chicago), Expertise (Lips-reading), Familiarity (Surveillance). Chicago Street (High), Chicago Underworld (High), Larry Vincent and crew (High). MPR (Nearsighted), MIA toward Money. Becky’s BMW carries good surveillance equipment, including video cameras with a good zoom and a low light mode, and shotgun mikes. When she is armed, she favours a S&W Bodyguard revolver, presumably in .38 [BODY 02, Projectile weapons: 04, Range: 03, Ammo: 05, R#02]. 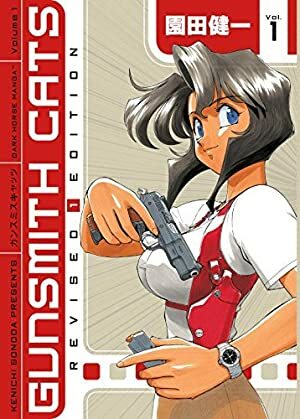 Source of Character: Gunsmith Cats: Revised Edition manga by 園田 健一. This does not cover the material in Burst. Writeup completed on the 19th of April, 2014.